This article is for newbies who don’t know how to remove excess oil from car engine. Overfilling car engine not only wastes the oil but also damages the engine in some cases. And once you have overfilled the engine with oil, there is some precaution that should be taken immediately. You are going to find all the precautions that you need to take in this article and also the damages that can cause from overfilling engine oil. From removing oil to cleaning the engine, I have covered a good amount of helpful resources here for you. 2 How to Drain Excess Engine Oil? 5 How Overfilling Damages the Engine? 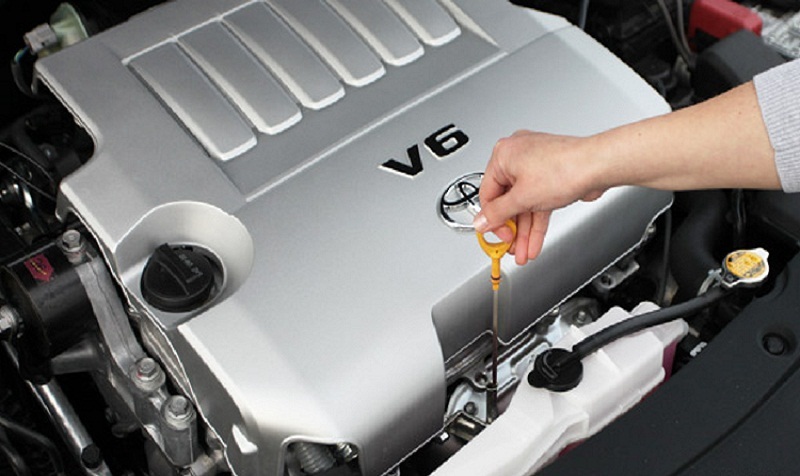 6 How to Check the Engine Oil Level? There is no doubt that oil is mandatory for vehicles but overfilling the engine with excessive oil can damage the car engine. Though that might not seem to be a big deal at first, engine damage can cost you a big amount of money later. So it is wise to check the oil level after each time you change the engine oil. How to Drain Excess Engine Oil? People use different ways to drain excessive engine oil but I am going to show only two ways which I think would be very easy for you. For draining oils from the engine you would need these: a drain pan, socket wrench, a suction pipe, and the knowledge of where the oil plug is located. First, crawl under the car where the oil plug is located. Once you reach there, place the drain pan right under the oil plug so that it can collect drained oil. Now with the help of the socket wrench slowly loosen up the oil plug. Don’t go fast, go very slow. Because loosening it fast will cause the plug to come out and you will end up wasting all the oil of your engine. Slowly loosen up the plug until it leaks a small amount of oil. Oil will start trickling out and after a while with the dipstick check out the oil level. Once the level goes down to normal, tighten the plug. This is probably the easiest way to drain oil. If you have a suction pipe you can feed the pipe through the way you feed dipstick and pull out the excessive oil. This method is completely simple but the process might take a good amount of time. How Overfilling Damages the Engine? 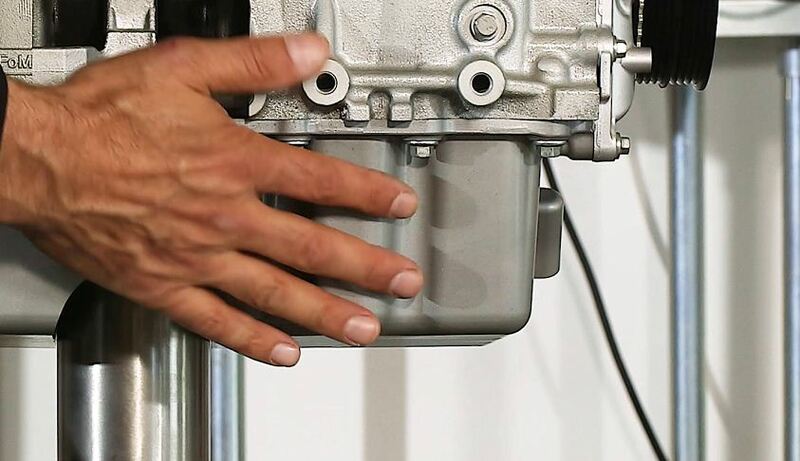 A thin layer of oil coating is what allows all the motor components to rotate at high speed non-stop for thousands of miles with no worry of getting damaged. And it is normal to think a that, a higher amount of oil will help the motor components to move even faster but that’s totally wrong. Overfilling has negative effects which are very harmful to your car engine. Excessive engine oil will get circulated inside the engine’s crankcase and that’s where the main issue begins. In almost every cars crankshaft is what drives the pistons and these pistons are placed right above the oil reservoir which is placed underneath the oil pan. For moving the oil into the motor there is a pump which pressurizes it and draws the lubricant from the oil pan so that it could be sprayed on main areas. Once the engine is overfilled with oil, obviously the oil level will rise and due to the rise in the oil level, the crankshaft will start contacting significantly with the oil reservoir. And as the crankshaft moves so fast, there is very little chance of the oil transforming. And once the oil turns into forth, it cannot be sprayed on the main areas and as a result, engine starves from oil and that damages the engine. If you are a newcomer in this industry, then having such a question in mind is no wonder. 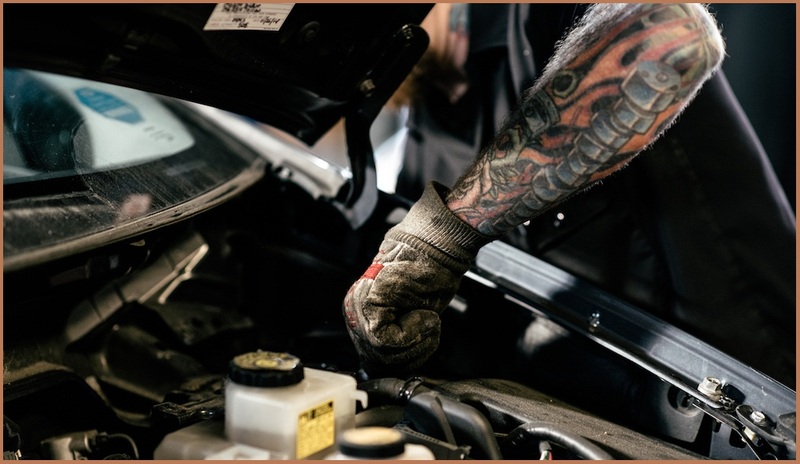 There are a couple of ways to check engine oil but one common symptom that indicates that you have overfilled the engine is, you will notice thicker and white smoke fumes are coming out from the exhaust pipe. However, to get the accurate result, drive the car for about 10 to 15 minutes and once the engine gets warmer dip the dipstick and you will get the right oil level. If you are struggling in finding the dipstick than check out the car manual. The manual will help you to find the dipstick. Now dip the dipstick inside the engine oil pan, hold it there for few seconds and pull it out. You will see there is a fill line in the dipstick, if you see the oil has crossed the fill line then it is overfilled. If you find it hard to measure the oil level with the dipstick, then you can also use an electronic oil readout device to get the perfect reading. Another sign is, you will notice unreasonable behavior from your car’s oil pressure gauge. That means that the needed amount of oil is not being pumped and when oil turns into forth the engine doesn’t get the required amount of oil. The draining process might seem a little complicated to the first timers but trust me it is very easy. But be alert when you try to drain the oil through the oil plug, make sure you loosen up the plug slowly, otherwise you will end up wasting all the oil. So with that said, I hope by now you know how to remove excess oil from a car engine. Comment down below if you encounter any issue draining engine oil and I’ll try to help you with a solution.